This outstanding example of a 2018 Dodge Journey SE is offered by Landers McLarty Huntsville Chrysler. This Dodge includes: POPULAR EQUIPMENT GROUP Driver Vanity Mirror Passenger Vanity Mirror A/C Leather Steering Wheel Passenger Illuminated Visor Mirror Rear A/C Driver Illuminated Vanity Mirror BILLET CLEARCOAT CONNECTIVITY GROUP Leather Steering Wheel Bluetooth Connection QUICK ORDER PACKAGE 22B Auto-Dimming Rearview Mirror Back-Up Camera ENGINE: 2.4L I4 DOHC 16V DUAL VVT (STD) 4 Cylinder Engine Gasoline Fuel TRANSMISSION: 4-SPEED AUTOMATIC VLP (STD) Transmission w/Dual Shift Mode 4-Speed A/T A/T *Note - For third party subscriptions or services, please contact the dealer for more information. * Want more room? Want more style? This Dodge Journey is the vehicle for you. The Dodge Journey SE will provide you with everything you have always wanted in a car -- Quality, Reliability, and Character. You can finally stop searching... You've found the one you've been looking for. This Vehicle Does Not Include Tax,Title, And $699 Doc Fee. This 2019 Dodge Journey SE is proudly offered by Landers McLarty Huntsville Chrysler This Dodge includes: TRANSMISSION: 4-SPEED AUTOMATIC VLP (STD) Transmission w/Dual Shift Mode 4-Speed A/T A/T VICE WHITE ENGINE: 2.4L I4 DOHC 16V DUAL VVT (STD) 4 Cylinder Engine Gasoline Fuel QUICK ORDER PACKAGE 22A MONOTONE PAINT APPLICATION UCONNECT VOICE COMMAND W/BLUETOOTH Leather Steering Wheel Bluetooth Connection PREMIUM GROUP Security System Leather Steering Wheel Power Driver Seat Driver Adjustable Lumbar WHEELS: 17 Aluminum Wheels *Note - For third party subscriptions or services, please contact the dealer for more information. * This SUV gives you versatility, style and comfort all in one vehicle. This is the one. Just what you've been looking for. This vehicle won't last long, take it home today. This Vehicle Does Not Include Tax,Title, And $699 Doc Fee. Contact Landers McLarty Huntsville Chrysler today for information on dozens of vehicles like this 2019 Dodge Journey SE. This Dodge includes: TRANSMISSION: 4-SPEED AUTOMATIC VLP (STD) Transmission w/Dual Shift Mode 4-Speed A/T A/T VICE WHITE ENGINE: 2.4L I4 DOHC 16V DUAL VVT (STD) 4 Cylinder Engine Gasoline Fuel QUICK ORDER PACKAGE 22A MONOTONE PAINT APPLICATION UCONNECT VOICE COMMAND W/BLUETOOTH Leather Steering Wheel Bluetooth Connection PREMIUM GROUP Security System Leather Steering Wheel Power Driver Seat Driver Adjustable Lumbar WHEELS: 17 Aluminum Wheels *Note - For third party subscriptions or services, please contact the dealer for more information. * Want more room? Want more style? This Dodge Journey is the vehicle for you. Just what you've been looking for. With quality in mind, this vehicle is the perfect addition to take home. You've found the one you've been looking for. Your dream car. This Vehicle Does Not Include Tax,Title, And $699 Doc Fee. Contact Landers McLarty Huntsville Chrysler today for information on dozens of vehicles like this 2019 Dodge Journey SE. This Dodge includes: TRANSMISSION: 4-SPEED AUTOMATIC VLP (STD) Transmission w/Dual Shift Mode 4-Speed A/T A/T BILLET CLEARCOAT ENGINE: 2.4L I4 DOHC 16V DUAL VVT (STD) 4 Cylinder Engine Gasoline Fuel QUICK ORDER PACKAGE 22A MONOTONE PAINT APPLICATION UCONNECT VOICE COMMAND W/BLUETOOTH Leather Steering Wheel Bluetooth Connection PREMIUM GROUP Security System Leather Steering Wheel Power Driver Seat Driver Adjustable Lumbar WHEELS: 17 Aluminum Wheels *Note - For third party subscriptions or services, please contact the dealer for more information. * This SUV gives you versatility, style and comfort all in one vehicle. Just what you've been looking for. With quality in mind, this vehicle is the perfect addition to take home. You can finally stop searching... You've found the one you've been looking for. This Vehicle Does Not Include Tax,Title, And $699 Doc Fee. Contact Landers McLarty Huntsville Chrysler today for information on dozens of vehicles like this 2019 Dodge Journey SE. This Dodge includes: TRANSMISSION: 4-SPEED AUTOMATIC VLP (STD) Transmission w/Dual Shift Mode 4-Speed A/T A/T ENGINE: 2.4L I4 DOHC 16V DUAL VVT (STD) 4 Cylinder Engine Gasoline Fuel GRANITE PEARLCOAT QUICK ORDER PACKAGE 22A MONOTONE PAINT APPLICATION UCONNECT VOICE COMMAND W/BLUETOOTH Leather Steering Wheel Bluetooth Connection PREMIUM GROUP Security System Leather Steering Wheel Power Driver Seat Driver Adjustable Lumbar WHEELS: 17 Aluminum Wheels *Note - For third party subscriptions or services, please contact the dealer for more information. * This SUV gives you versatility, style and comfort all in one vehicle. Based on the superb condition of this vehicle, along with the options and color, this Dodge Journey SE is sure to sell fast. The look is unmistakably Dodge, the smooth contours and cutting-edge technology of this Dodge Journey SE will definitely turn heads. This Vehicle Does Not Include Tax,Title, And $699 Doc Fee. You can find this 2019 Dodge Journey SE and many others like it at Landers McLarty Huntsville Chrysler. This Dodge includes: PITCH BLACK CLEARCOAT TRANSMISSION: 4-SPEED AUTOMATIC VLP (STD) Transmission w/Dual Shift Mode 4-Speed A/T A/T ENGINE: 2.4L I4 DOHC 16V DUAL VVT (STD) 4 Cylinder Engine Gasoline Fuel QUICK ORDER PACKAGE 22A MONOTONE PAINT APPLICATION UCONNECT VOICE COMMAND W/BLUETOOTH Leather Steering Wheel Bluetooth Connection PREMIUM GROUP Security System Leather Steering Wheel Power Driver Seat Driver Adjustable Lumbar WHEELS: 17 Aluminum Wheels *Note - For third party subscriptions or services, please contact the dealer for more information. * Want more room? Want more style? This Dodge Journey is the vehicle for you. The Dodge Journey SE will provide you with everything you have always wanted in a car -- Quality, Reliability, and Character. The look is unmistakably Dodge, the smooth contours and cutting-edge technology of this Dodge Journey SE will definitely turn heads. This Vehicle Does Not Include Tax,Title, And $699 Doc Fee. This 2019 Dodge Journey SE is proudly offered by Landers McLarty Huntsville Chrysler This Dodge includes: TRANSMISSION: 4-SPEED AUTOMATIC VLP (STD) Transmission w/Dual Shift Mode 4-Speed A/T A/T BILLET CLEARCOAT ENGINE: 2.4L I4 DOHC 16V DUAL VVT (STD) 4 Cylinder Engine Gasoline Fuel QUICK ORDER PACKAGE 22A MONOTONE PAINT APPLICATION UCONNECT VOICE COMMAND W/BLUETOOTH Leather Steering Wheel Bluetooth Connection PREMIUM GROUP Security System Leather Steering Wheel Power Driver Seat Driver Adjustable Lumbar WHEELS: 17 Aluminum Wheels *Note - For third party subscriptions or services, please contact the dealer for more information. * Want more room? Want more style? This Dodge Journey is the vehicle for you. You can finally stop searching... You've found the one you've been looking for. The Dodge Journey SE will provide you with everything you have always wanted in a car -- Quality, Reliability, and Character. This Vehicle Does Not Include Tax,Title, And $699 Doc Fee. This outstanding example of a 2019 Dodge Journey SE is offered by Landers McLarty Huntsville Chrysler. This Dodge includes: PITCH BLACK CLEARCOAT TRANSMISSION: 4-SPEED AUTOMATIC VLP (STD) Transmission w/Dual Shift Mode 4-Speed A/T A/T ENGINE: 2.4L I4 DOHC 16V DUAL VVT (STD) 4 Cylinder Engine Gasoline Fuel QUICK ORDER PACKAGE 22A MONOTONE PAINT APPLICATION UCONNECT VOICE COMMAND W/BLUETOOTH Leather Steering Wheel Bluetooth Connection PREMIUM GROUP Security System Leather Steering Wheel Power Driver Seat Driver Adjustable Lumbar WHEELS: 17 Aluminum Wheels *Note - For third party subscriptions or services, please contact the dealer for more information. * Want more room? Want more style? This Dodge Journey is the vehicle for you. This is the one. Just what you've been looking for. Beautiful color combination with Px8 exterior over E7X9 interior making this the one to own! This Vehicle Does Not Include Tax,Title, And $699 Doc Fee. This outstanding example of a 2019 Dodge Journey SE is offered by Landers McLarty Huntsville Chrysler. This Dodge includes: TRANSMISSION: 4-SPEED AUTOMATIC VLP (STD) Transmission w/Dual Shift Mode 4-Speed A/T A/T ENGINE: 2.4L I4 DOHC 16V DUAL VVT (STD) 4 Cylinder Engine Gasoline Fuel CONTUSION BLUE PEARLCOAT QUICK ORDER PACKAGE 22A MONOTONE PAINT APPLICATION UCONNECT VOICE COMMAND W/BLUETOOTH Leather Steering Wheel Bluetooth Connection PREMIUM GROUP Security System Leather Steering Wheel Power Driver Seat Driver Adjustable Lumbar WHEELS: 17 Aluminum Wheels *Note - For third party subscriptions or services, please contact the dealer for more information. * This SUV gives you versatility, style and comfort all in one vehicle. This is the one. Just what you've been looking for. Just what you've been looking for. With quality in mind, this vehicle is the perfect addition to take home. This Vehicle Does Not Include Tax,Title, And $699 Doc Fee. This 2019 Dodge Journey SE is offered to you for sale by Landers McLarty Huntsville Chrysler. This Dodge includes: TRANSMISSION: 4-SPEED AUTOMATIC VLP (STD) Transmission w/Dual Shift Mode 4-Speed A/T A/T ENGINE: 2.4L I4 DOHC 16V DUAL VVT (STD) 4 Cylinder Engine Gasoline Fuel GRANITE PEARLCOAT QUICK ORDER PACKAGE 22A MONOTONE PAINT APPLICATION UCONNECT VOICE COMMAND W/BLUETOOTH Leather Steering Wheel Bluetooth Connection PREMIUM GROUP Security System Leather Steering Wheel Power Driver Seat Driver Adjustable Lumbar WHEELS: 17 Aluminum Wheels *Note - For third party subscriptions or services, please contact the dealer for more information. * Want more room? Want more style? This Dodge Journey is the vehicle for you. Just what you've been looking for. With quality in mind, this vehicle is the perfect addition to take home. The 2019 Dodge exterior is finished in a breathtaking Pau, while being complemented by such a gorgeous E7X9 interior. This color combination is stunning and absolutely beautiful! This Vehicle Does Not Include Tax,Title, And $699 Doc Fee. Contact Landers McLarty Huntsville Chrysler today for information on dozens of vehicles like this 2019 Dodge Journey SE. This Dodge includes: TRANSMISSION: 4-SPEED AUTOMATIC VLP (STD) Transmission w/Dual Shift Mode 4-Speed A/T A/T ENGINE: 2.4L I4 DOHC 16V DUAL VVT (STD) 4 Cylinder Engine Gasoline Fuel DESTROYER GRAY CLEARCOAT QUICK ORDER PACKAGE 22A MONOTONE PAINT APPLICATION UCONNECT VOICE COMMAND W/BLUETOOTH Leather Steering Wheel Bluetooth Connection PREMIUM GROUP Security System Leather Steering Wheel Power Driver Seat Driver Adjustable Lumbar WHEELS: 17 Aluminum Wheels *Note - For third party subscriptions or services, please contact the dealer for more information. * Want more room? Want more style? This Dodge Journey is the vehicle for you. The Dodge Journey SE will provide you with everything you have always wanted in a car -- Quality, Reliability, and Character. You can finally stop searching... You've found the one you've been looking for. This Vehicle Does Not Include Tax,Title, And $699 Doc Fee. Contact Landers McLarty Huntsville Chrysler today for information on dozens of vehicles like this 2019 Dodge Journey SE. This Dodge includes: TRANSMISSION: 6-SPEED AUTOMATIC 62TE A/T 6-Speed A/T CONNECTIVITY GROUP Leather Steering Wheel AM/FM Stereo Satellite Radio Bluetooth Connection CONTUSION BLUE PEARLCOAT MONOTONE PAINT APPLICATION ENGINE: 3.6L V6 24V VVT Flex Fuel Capability V6 Cylinder Engine PREMIUM GROUP Security System Leather Steering Wheel Power Driver Seat Driver Adjustable Lumbar QUICK ORDER PACKAGE 28A *Note - For third party subscriptions or services, please contact the dealer for more information. * Want more room? Want more style? This Dodge Journey is the vehicle for you. You can finally stop searching... You've found the one you've been looking for. Just what you've been looking for. With quality in mind, this vehicle is the perfect addition to take home. This Vehicle Does Not Include Tax,Title, And $699 Doc Fee. This 2019 Dodge Journey SE is offered to you for sale by Landers McLarty Huntsville Chrysler. This Dodge includes: TRANSMISSION: 6-SPEED AUTOMATIC 62TE A/T 6-Speed A/T CONNECTIVITY GROUP Leather Steering Wheel AM/FM Stereo Satellite Radio Bluetooth Connection DESTROYER GRAY CLEARCOAT MONOTONE PAINT APPLICATION ENGINE: 3.6L V6 24V VVT Flex Fuel Capability V6 Cylinder Engine PREMIUM GROUP Security System Leather Steering Wheel Power Driver Seat Driver Adjustable Lumbar TIRES: P225/65R17 BSW Tires - Front All-Season Tires - Rear All-Season QUICK ORDER PACKAGE 28A *Note - For third party subscriptions or services, please contact the dealer for more information. * This SUV gives you versatility, style and comfort all in one vehicle. Beautiful color combination with Pdn exterior over E7X9 interior making this the one to own! This is the one. Just what you've been looking for. This Vehicle Does Not Include Tax,Title, And $699 Doc Fee. Contact Landers McLarty Huntsville Chrysler today for information on dozens of vehicles like this 2019 Dodge Journey SE. This Dodge includes: TRANSMISSION: 6-SPEED AUTOMATIC 62TE A/T 6-Speed A/T CONNECTIVITY GROUP Leather Steering Wheel AM/FM Stereo Satellite Radio Bluetooth Connection REDLINE 2 COAT PEARL MONOTONE PAINT APPLICATION ENGINE: 3.6L V6 24V VVT Flex Fuel Capability V6 Cylinder Engine PREMIUM GROUP Security System Leather Steering Wheel Power Driver Seat Driver Adjustable Lumbar TIRES: P225/65R17 BSW Tires - Front All-Season Tires - Rear All-Season QUICK ORDER PACKAGE 28A *Note - For third party subscriptions or services, please contact the dealer for more information. * Want more room? Want more style? This Dodge Journey is the vehicle for you. This is about the time when you're saying it is too good to be true, and let us be the one's to tell you, it is absolutely true. You could keep looking, but why? You've found the perfect vehicle right here. This Vehicle Does Not Include Tax,Title, And $699 Doc Fee. 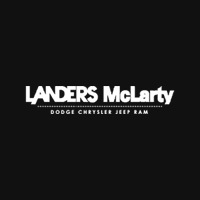 Landers McLarty Huntsville Chrysler is excited to offer this 2019 Dodge Journey. This Dodge includes: TRANSMISSION: 6-SPEED AUTOMATIC 62TE A/T 6-Speed A/T CONNECTIVITY GROUP Leather Steering Wheel AM/FM Stereo Satellite Radio Bluetooth Connection OLIVE GREEN PEARLCOAT MONOTONE PAINT APPLICATION ENGINE: 3.6L V6 24V VVT Flex Fuel Capability V6 Cylinder Engine PREMIUM GROUP Security System Leather Steering Wheel Power Driver Seat Driver Adjustable Lumbar TIRES: P225/65R17 BSW Tires - Front All-Season Tires - Rear All-Season QUICK ORDER PACKAGE 28A *Note - For third party subscriptions or services, please contact the dealer for more information. * Want more room? Want more style? This Dodge Journey is the vehicle for you. This is the one. Just what you've been looking for. This is about the time when you're saying it is too good to be true, and let us be the one's to tell you, it is absolutely true. This Vehicle Does Not Include Tax,Title, And $699 Doc Fee. This outstanding example of a 2019 Dodge Journey SE is offered by Landers McLarty Huntsville Chrysler. This Dodge includes: TRANSMISSION: 6-SPEED AUTOMATIC 62TE A/T 6-Speed A/T CONNECTIVITY GROUP Leather Steering Wheel AM/FM Stereo Satellite Radio Bluetooth Connection GRANITE PEARLCOAT MONOTONE PAINT APPLICATION ENGINE: 3.6L V6 24V VVT Flex Fuel Capability V6 Cylinder Engine PREMIUM GROUP Security System Leather Steering Wheel Power Driver Seat Driver Adjustable Lumbar TIRES: P225/65R17 BSW Tires - Front All-Season Tires - Rear All-Season QUICK ORDER PACKAGE 28A *Note - For third party subscriptions or services, please contact the dealer for more information. * This SUV gives you versatility, style and comfort all in one vehicle. You've found the one you've been looking for. Your dream car. The 2019 Dodge exterior is finished in a breathtaking Pau, while being complemented by such a gorgeous E7X9 interior. This color combination is stunning and absolutely beautiful! This Vehicle Does Not Include Tax,Title, And $699 Doc Fee. Contact Landers McLarty Huntsville Chrysler today for information on dozens of vehicles like this 2019 Dodge Grand Caravan SE Plus. This Dodge includes: ENGINE: 3.6L V6 24V VVT (FFV) (STD) Flex Fuel Capability V6 Cylinder Engine BLACK SIDE ROOF RAILS Luggage Rack TRANSMISSION: 6-SPEED AUTOMATIC 62TE (STD) A/T 6-Speed A/T COMPACT SPARE TIRE Temporary Spare Tire POWER 8-WAY DRIVER SEAT Power Driver Seat Driver Adjustable Lumbar GRANITE PEARLCOAT QUICK ORDER PACKAGE 29H SE PLUS Fog Lamps Automatic Headlights Remote Engine Start Security System Leather Steering Wheel Satellite Radio Bluetooth Connection MP3 Player *Note - For third party subscriptions or services, please contact the dealer for more information. * This is about the time when you're saying it is too good to be true, and let us be the one's to tell you, it is absolutely true. This is the one. Just what you've been looking for. The Dodge Grand Caravan SE Plus will provide you with everything you have always wanted in a car -- Quality, Reliability, and Character. This Vehicle Does Not Include Tax,Title, And $699 Doc Fee. Contact Landers McLarty Huntsville Chrysler today for information on dozens of vehicles like this 2019 Dodge Grand Caravan SE Plus. This Dodge includes: ENGINE: 3.6L V6 24V VVT (FFV) (STD) Flex Fuel Capability V6 Cylinder Engine BLACK SIDE ROOF RAILS Luggage Rack TRANSMISSION: 6-SPEED AUTOMATIC 62TE (STD) A/T 6-Speed A/T COMPACT SPARE TIRE Temporary Spare Tire OCTANE RED PEARLCOAT POWER 8-WAY DRIVER SEAT Power Driver Seat Driver Adjustable Lumbar QUICK ORDER PACKAGE 29H SE PLUS Fog Lamps Automatic Headlights Remote Engine Start Security System Leather Steering Wheel Satellite Radio Bluetooth Connection MP3 Player *Note - For third party subscriptions or services, please contact the dealer for more information. * There is no reason why you shouldn't buy this Dodge Grand Caravan SE Plus. It is incomparable for the price and quality. This is the one. Just what you've been looking for. You can finally stop searching... You've found the one you've been looking for. This Vehicle Does Not Include Tax,Title, And $699 Doc Fee. You can find this 2019 Dodge Grand Caravan SE Plus and many others like it at Landers McLarty Huntsville Chrysler. This Dodge includes: ENGINE: 3.6L V6 24V VVT (FFV) (STD) Flex Fuel Capability V6 Cylinder Engine BLACK SIDE ROOF RAILS Luggage Rack TRANSMISSION: 6-SPEED AUTOMATIC 62TE (STD) A/T 6-Speed A/T WHITE KNUCKLE CLEARCOAT COMPACT SPARE TIRE Temporary Spare Tire POWER 8-WAY DRIVER SEAT Power Driver Seat Driver Adjustable Lumbar QUICK ORDER PACKAGE 29H SE PLUS Fog Lamps Automatic Headlights Remote Engine Start Security System Leather Steering Wheel Satellite Radio Bluetooth Connection MP3 Player *Note - For third party subscriptions or services, please contact the dealer for more information. * Based on the superb condition of this vehicle, along with the options and color, this Dodge Grand Caravan SE Plus is sure to sell fast. There is no reason why you shouldn't buy this Dodge Grand Caravan SE Plus. It is incomparable for the price and quality. You can finally stop searching... You've found the one you've been looking for. This Vehicle Does Not Include Tax,Title, And $699 Doc Fee. This outstanding example of a 2019 Dodge Grand Caravan SE Plus is offered by Landers McLarty Huntsville Chrysler. This Dodge includes: BILLET CLEARCOAT ENGINE: 3.6L V6 24V VVT (FFV) (STD) Flex Fuel Capability V6 Cylinder Engine BLACK SIDE ROOF RAILS Luggage Rack TRANSMISSION: 6-SPEED AUTOMATIC 62TE (STD) A/T 6-Speed A/T COMPACT SPARE TIRE Temporary Spare Tire POWER 8-WAY DRIVER SEAT Power Driver Seat Driver Adjustable Lumbar QUICK ORDER PACKAGE 29H SE PLUS Fog Lamps Automatic Headlights Remote Engine Start Security System Leather Steering Wheel Satellite Radio Bluetooth Connection MP3 Player *Note - For third party subscriptions or services, please contact the dealer for more information. * You've found the one you've been looking for. Your dream car. This is the one. Just what you've been looking for. Just what you've been looking for. With quality in mind, this vehicle is the perfect addition to take home. This Vehicle Does Not Include Tax,Title, And $699 Doc Fee.